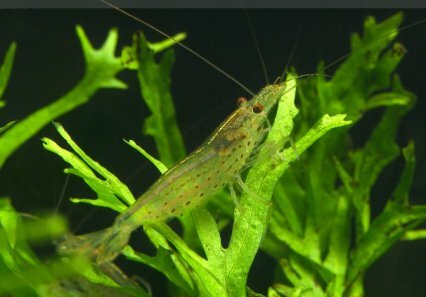 PFK investigates: Shrimps killed by mail order plants! Two PFK staff members recently had quick and severe shrimp wipeouts after the addition of mail order plants to their tanks. Nathan Hill finds out more. Alongside a couple of other equally confused aquarists, I quite recently experienced a wipeout of my shrimps in a planted tank. The wipeout occurred after the addition of some mail order aquarium plants, from one UK mail order supplier, PlantedTanks.co.uk, whose plants originated from one specific supplier in Singapore, called Oriental Aquarium PTE Ltd. The mortalities were both rapier quick, and staunchly irreversible. It seems that anything without a spine that was living in that tank was doomed, despite my best efforts at moving them as I noticed the problem. Symptoms were easy enough to spot. Shrimps turned bright pink, lost all sense of direction and composure, and tried to leap from the tank. Within a couple of minutes they lay on their sides, their pleopods the only source of activity. Within two minutes more they were dead. Conversations with a minority of other aquarists have revealed similar problems, similar symptoms, but varying timescales, and the problem looks as though it may be a new phenomenon that the hobby will need to be acutely aware of if invertebrate poisonings are to be avoided. It seemed that plants, or something on the plants, were poisoning freshwater shrimps in aquaria, and our own wipeouts varied from a tiny 30 l. nano tank to a 6 x 2 x 2' mature aquarium. We made Tony Newsom-Virr of PlantedTanks.co.uk aware of the issues and he did some investigating, contacting three suppliers of aquarium plants for export from Singapore. Simply put, plants from far away destinations are required to adhere to sanitary rules before they may be exported. This means that they require certification, and in order to qualify for that, they are required to show that they have made adequate efforts to remove potentially damaging insects. After all, if we’re purchasing greenery from all over the globe, the last thing we want is for a hitchhiking Colorado beetle or three to come along for the ride, and blight indigenous crops once it gets here. In treating for these insects, plant exporters will typically resort to one (or more) of three potential insecticides – none of them particularly pleasant. "Further to my phone call today," said Newsom-Virr, "I can confirm the following information has been provided by the farms in Singapore who supply plants to the UK market." "All farms advise that following exposure to the above chemicals, all plants are rinsed in freshwater – although they do not advise for how long. The advice from the farms for end customers is that they quarantine the plants in a plant only system before introducing to a tank populated with inverts and crustaceans etc. "At PlantedTanks our process goes one step further. Upon receipt of the plants they are all dipped in a solution of Potassium Permanganate which then highlights any crustacean in purple for us to easily identify them for manual removal. "They use of this product also provides a mild sterilisation effect against disease etc. We then wash all plants in tapwater – which removes any residue. Finally plants are placed in the holding tanks with Potassium Nitrate, Mono Potassium Phosphate, Magnesium Sulphate and trace elements as a fertilisation boost prior to shipping. Total exposure is from two hours to four hours depending on weekly volume. "Plants that are classed as overstock remain in our tanks until sold – this can be up to six days. "Reference has been made against all three chemicals detailed above, and as such we will now produce a recommendation sheet for our customers to use about plant quarantine. Our recommendation will be that all plants from ANY supplier should be quarantined in alkaline water for a minimum of two hours to 48 hours, then finally rinsed in tapwater prior to addition to any tank with livestock present. Trichlorofon is a particularly aggressive organophosphate pesticide. It however can be detected in acidic water up to 526 days at 20°C at pH5.0. That said – if alkaline water is used – pH 8.5 then this product is 99% degraded within 2 hours. Buprofezin is an insecticide – specifically an acaricide. It is not approved for use in the UK. The degradation half life is 50 days within soil and 16 days in water at pH 7.0, 20C. This product specifically requires extended quarantine of at least 48 hours. Imidacloprid is a systemic insecticide. It has a three-hour half life in water pH neutral. It is known to be non-toxic to fish, moderately toxic to crustaceans and highly toxic to invertebrates. The addition of this chemical to water reputedly degrades to CO2 as a side effect of the degradation in the presence of light." So let's first look at imidacloprid, a nasty nicotine based neurotoxin. Commercially, it’s more commonly used to keep bugs and beetles from Californian crops. It can also be used to kill cockroaches, fleas on pets, and a whole host of insects. Imidacloprid is dangerous to aquatic invertebrates, and annoyingly has a long lifespan in the conditions which we typically keep them in. Although it degrades quickly when exposed to sunlight, and when kept in alkaline conditions, when in acid water it can linger and linger. In fact, given its half-life of 70-100 days in low pH values, it could be in the system for a while. When used, it is dosed at a rate of 0.005% for 45 – 60 minutes before plants are shipped out. It’s rather potent stuff. Secondly, Buprofezin is used by some exporters. It’s another protector of Californian crops, mainly grapes, and it functions by inhibiting the synthesis of chitin, much in the same way as one of the methods used to control parasites like Argulus. Of course, it’s not just Argulus and insects that use chitin – our beloved shrimps are made of the stuff as well. In a polar opposite to Imidacloprid, Buprofezen is quite stable in alkaline water, and less in acidic with a half-life of around 50 days at a pH of 5.0. However, the doses used by plant exporters are quite low. Although a longer bath time and concentration is used, 120 minutes in 0.1% solution, this is the chemical I’d least implicate in shrimp deaths. Which brings me to Trichlorphon. Trichlorphon used to be marketed in in many products, including something called Dipterex, which was basically glorified sheep dip. Trichlorphon is an organophosphate, now banned in the EU because of all of the horrendous damage it was doing to farmers that used it. Trichlorphon baths before export are at a level of about 0.8% solution, for around 120 minutes. Given that this stuff will kill Daphnia at a level of 0.00096mg/l, I suspect it to be the major player in shrimpy disasters. It’s a fan of acidic water over alkaline, at a pH of 8.5 it degrades rapidly, literally within hours. Kept in acidic and cooler waters, it may still be traced over 500 days after addition to water. On the downside of breaking down, much of what it breaks down into is the chemical dichlorvos, which is another horrendously potent insecticide. Well, to deactivate these chemicals, very little. Placing them into water conditions where they are unstable will help, as will exposure to light. But the biggest thing that can be done is a soak and rinse – quite literally a plant quarantine. Obviously this happens when plants have been sat in a store, just by virtue of their having been in tanks that are water changed frequently, but I’d consider maybe taking the view that a brand new plant, straight out of the box upon delivery to your home, when it’s usually considered at its most fresh, may not be the sensible purchasing option that it was several years ago. I hasten to add that these are chemicals that we only know of from a small selection of exporters, and than none of these exporters are of European or Scandinavian origin, where laws regarding sanitation of plants are rather different. Such European suppliers usually supply the bulk of their plants in potted form, like Aquadistri’s Aquafleur, Aqua Dip, Tropica, Dennerle and others. Vitally, PlantedTanks report to us that from the February 29, all of their trading with South Island and Liberty will cease. Instead, the company has opted to use European plants, as well as to commence the production of their own IV plant range. The company is working hard to resolve the potential issues of pesticides on plants, but strongly advocates the idea of quarantining and new plants – just as a hobbyist may do with other livestock. The problem is that there may be other chemicals being used, and much like Trichlorphon it may be that much of what’s being bandied about is stuff that we’re unaware of. After all, just because a chemical is illegal here, it doesn’t mean that it’s illegal all over the world. And if it’s legal there, it may be used in abundance. Oriental Aquarium for instance also has farms in China and Malaysia. Practical Fishkeeping advised PlantedTanks to halt Potassium Permanganate dipping too, to rule that out of the equation, and subsequently they have stopped any use of this chemical in the dipping of their plants. We thank Tony-Newsom-Virr of PlantedTanks.co.uk for his crystal clear transparency, honesty and his research.